With Joan Bird, author of “Montana UFOs” on today’s show, we couldn’t help but think about some of the ranchers in the state. Montana has a billion dollar cattle industry and the last thing they need is aliens abducting their cattle. 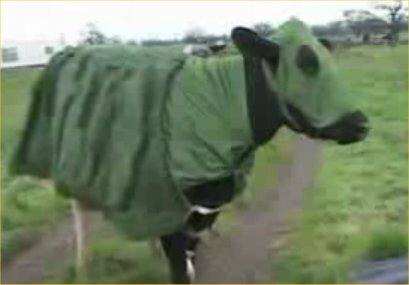 The following video features ranchers who have tried different methods to protect their cattle, including camouflage.